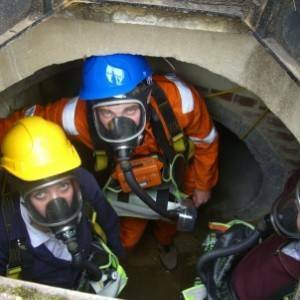 We are running special offers on confined spaces training in Essex. If you have a group of delegates the most cost effective way of getting them trained is to book the day out. Pick a date that is suitable for your delegates, then pay the special offer day rate of £575+ VAT for a max of 10 delegates. So if you have 10 delegates to train you are only paying £57.50 per delegate. 1 Day Safe Entry and Escape BA training in Essex for groups. If you have a group, give our friendly training team a call and ask about Essex confined spaces training groups. To book training you can chat on our website to us, or send in an enquiry form or call us on 0800 0213 263. Confined Spaces Training. I Day Safe Entry and Escape BA Training.